In India, as many as 20 crore and 30 crore people use WhatsApp and Facebook respectively every month. The app Narendra Modi has the potential to reach across to more than 1 crore users in a day. So, the question is whether political content should be censored on social media networks 48 hours before the start of polling in order to maintain what is referred to as “campaign silence”. 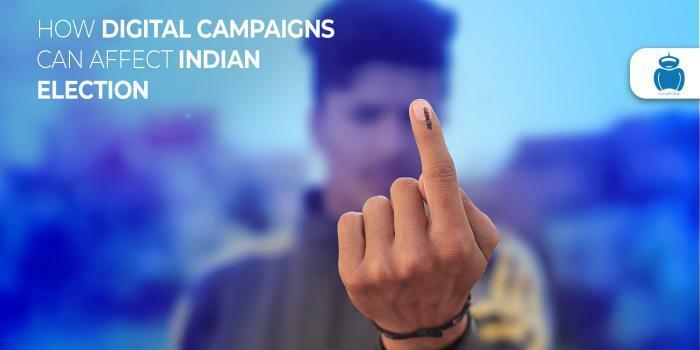 According to Cyber Law expert Pavan Duggal, social media has the potential to impact voters’ electoral decisions and, therefore, the Election Commission should take suitable action for maintaining campaign silence. India’s Election Commission does recognize the fact that social media campaigns can have a significant impact. For example, a campaign run on a social network with the help of a digital marketing agency in Kochi or SEO services in Kochi can impact voters in the state of Kerala. Currently, there is no legislation to ban political advertisements or propaganda on social platforms. Many of these networks have even started allowing live video streaming. The social media platforms can choose to bar political content on their own, but the effectiveness of such a measure is not clear. This is because Facebook informed the Mumbai High Court, responding to a petition calling for exercising restraint on publishing any political advertisements, messages, and videos prior to elections, that the company would not self-censor content on the platform. There are practical difficulties when it comes to implementing a rule restraining political content on social media. This is because elections are held in different parts of the country on different dates. Moreover, the dates are often spread over several days. Last year, the Election Commission constituted a committee to look into this section so that maintaining ‘campaign silence’ can be made more effective, especially in the changing scenario as social media exerts a considerable amount of influence. The recommendations were submitted by the committee earlier this year. The poll panel remained silent when it was asked as to how it is planning to retrain social media networks from broadcasting election campaign material prior to polling. According to Duggal, the Election Commission must invoke the provisions with respect to the specific liabilities of service providers who act as intermediaries as per the Information Technology Act. Earlier in March, a parliamentary panel raised concerns about the ability of Facebook in preventing misuse of the network during the Lok Sabha elections and help the security agencies. If you want to know more about digital marketing, please get in touch with SocialPulsar.